The Lookout Tower Challenge (LTC) is a program that challenges hikers to reach 24 lookout towers in western North Carolina. Fire and lookout towers offer breathtaking 360 degree views of the surrounding mountains. Lookouts are also historic structures left over from a bygone era of fire detection; sentinels of the forest that safeguarded the mountains and forests we cherish. The LTC encompasses hikes in all regions of western North Carolina and offers an assortment of challenging hikes over varying terrain. Formal recognition from the Carolina Mountain Club is granted to those who successfully reach all 24 lookout towers. However, the real reward is the exhilarating vistas from their mountain summits. All hikes must meet a 1.0 mile roundtrip distance with the exception of Little Snowball. Climbing of each tower is NOT a requirement of the LTC. One may climb the towers but only at one’s own risk. However, climbing the towers to enjoy their views is highly recommended. Conditions and access to these towers--which are managed various different agencies--are subject to change. Do not climb towers that have become restricted, posted, or unsafe. While many towers are accessible by roads, reaching a tower by automobile will not count towards a LTC completion. This is the primary goal of the NC chapter of the FFLA is the preservation of North Carolina’s remaining fire lookout towers. No longer used for fire detection, many of the state’s lookouts are a victim of neglect they have suffered from vandalism, deterioration, and damage from the weather. Their modern use by administrative agencies is over and they therefore garnish no funding for their routine upkeep and maintenance. With continued deterioration, many towers are viewed as liabilities and will ultimately be dismantled and removed. Over a third of North Carolina’s lookout towers that once stood watch over the forests are now gone forever. It is the goal of the FFLA to prevent the further removal of these historic structures, and the maintenance of current towers even if in acceptable condition. In time, the chapter wishes to establish a volunteer corps for routine tower maintenance, especially for those towers incorporated into hiking trail systems. Click here for information on tower needs. Lookout towers are historic structures where men and women watched over the forest protecting it by reporting fires for half a century. Sadly, their historical significance has become forgotten by the agencies who utilized them. Many NC lookout towers are in dire need of partial or complete rehabilitation. The chapter will initiate restoration projects for towers in most need of repair and threatened most by removal. FFLA will seek public and private funding for these projects, solicit for structural materials and supplies, and provide a volunteer labor team to the sites. In addition to their historic value, lookout towers offer scenic vantage points of the surrounding forest—often wild and beautiful land that we hold dear as a natural and recreational resource. Their 360 degree views provide breathtaking vistas, often hard earned after a climb up a mountain. The towers also serve as a public symbol of forest fire prevention and natural resource conservation. Many towers in the state are restricted from public access and many others lack the ability to enjoy the views from their cabs and catwalks. The NC chapter of FFLA seeks to continually improve access to lookout towers for the public, particularly those in western North Carolina with the most sought after panoramas. Though the towers no longer detect fires, their value for public recreation and interpretation remains high and it is a goal of the chapter to promote lookouts as hiking and travel destinations. Click here for up to date access information. Completers of the Lookout Tower Challenge (LTC) will be rewarded with a hiking patch, certificate of completion, and formal recognition at the club’s annual dinner banquet. Upon hiking to all 24 lookout towers of the Lookout Tower Challenge (LTC) using minimum hiking distance, submit a completed Checklist form (or comparable log of completion) and appropriate membership fees to the Carolina Mountain Club Challenge Committee via mail at the address below. LTC recognition requires membership is both CMC and the Forest Fire Lookout Association (FFLA). If you are already a member of CMC (please make sure to confirm), you need only send a check for membership fees of $20 made paypal to "FFLA" along with your completion log. If you are yet not a member of CMC, or need to renew your membership, please also submit check for membership fees of $20 made payable to "CMC", along with a CMC membership application, with your completion log. Why is the required hiking distance so low? Can I drive to lookout towers that can be accessed by car? Why are not all lookout towers in western North Carolina included in the LTC? Why is it not a requirement to climb the towers? Why does the Little Snowball Lookout require two components? This challenge seems easy. Is it? Why lookout towers for a challenge program? What is happening to the lookout towers in North Carolina? 1. Why is the required hiking distance so low? Many lookout towers can only be accessed by short trails or roads. The maximum roundtrip hiking distance for several towers, such as Joanna Bald, Cowee Bald, and Panther Top barely exceed 1.0 mile. Road walking additional distance to achieve more mileage was not deemed to be necessary nor desirable. Nevertheless, towers with short hikes are equally worth visiting for their views and history. 2. Can I drive to lookout towers that can be accessed by car? For those that can be driven, reaching a lookout tower by car will not qualify for the LTC. However, many towers which are accessible by car present the opportunity for hiking shuttles. An example is hiking from the bottom to the top and driving back to the bottom. Towers where shuttles like this are possible include Rich Mountain, Mt. Noble, Wayah Bald, Camp Creek Bald, and Rendezvous Mountain. 3. Why are not all lookout towers in western North Carolina included in the LTC? Many other towers are restricted due to disrepair and deterioration, vandalism, private property, and communications equipment. Towers in disrepair that are rehabilitated can be added to the LTC in the future. Likewise, towers on the LTC that become restricted or fall into disrepair can be removed from the LTC. 4. Why is it not a requirement to climb the towers? The Club cannot assume the risk of requiring a hiker to climb the towers in order to achieve this challenge. While hikers may climb a tower, if desired, they do so at their own risk. A few of the towers have certain sections that are closed due to conditions that are not considered safe. 5. Why does the Little Snowball Lookout require two components? The Little Snowball Lookout was saved from demolition and re-erected at another location. A private citizen purchased the tower in 1980 when it was earmarked for removal. After dismantling and removal from the mountain piece by piece over the course of a year, it remained in storage for over two decades. In 2004, it was re-erected and restored by the Big Ivy Historical Society on their campus. With the tower’s pristine preservation and extensive restoration, it is the most historically complete lookout tower in North Carolina. Its now stands as one of the most successful lookout tower restoration stories in the state and an example of the importance of saving lookout towers. In addition to visiting the tower, reached by car, the LTC also requires the hike to its former location near Little Snowball Mountain. This hike exhibits a removed lookout site – a common scene all over western North Carolina and one that will become more prevalent without intervention to preserve lookouts. Nevertheless, the CMC periodically maintains the summit clearing which offers great views. 6. This challenge seems easy. Is it? The hiking distance requirement for this challenge is predetermined by the lack of long hiking options to several towers and therefore is short in duration. However, other hikes, such as Yellow Mountain and Mt. Cammerer, require significantly greater mileage (10+ miles) than the minimum requirement. Additionally, many hikes, regardless of distance, often require an ascent of many thousand feet. Just because a hike isn’t long will not mean that it is not difficult. Mt. Sterling and Shuckstack are examples. In addition, most towers cannot be coupled into the same day because of their spatial proximity; this is contrary to SB6K, P400, and 900M challenges. Therefore, most towers will require a separate hike on a separate day and result in a longer time commitment to complete the challenge. This factor benefits the hiker with exposure to multiple regions and mountain ranges in western North Carolina. 7. Why lookout towers for a challenge program? Lookout towers offer one of the best hiking destinations. There is no better reward than a stunning, 360 degree vista after the difficult physical expenditure of reaching the summit of a high mountain. Most mountain peaks in the southern Appalachians are shrouded in trees and offer limited or no views to reward a difficult ascent. Lookout towers promise the ability to elevate above the trees to enjoy the surrounding mountain scenery – some of the most beautiful in the country. Moreover, lookout towers are historic structures, just like historic cabins, barns, churches, and mills. For nearly half a century they were used as watch posts to quickly detect forest fires that threatened our valuable wild lands. Lookout tower challenges are popular in other parts of the country – including New Hampshire, New York, and Vermont. 8. What is happening to the lookout towers in North Carolina? Though usually on public lands, lookouts are often not actively maintained by government agencies. No longer used for fire detection, they rarely receive funding for upkeep and maintenance and subsequently suffer from neglect. The towers have succumbed to vandalism, severe weather, and deterioration. As a result, many of towers across the state have been removed forever; others have had their access restricted and face imminent dismantling. The remaining towers are valued hiking destination to outdoor enthusiasts as well as important landmarks of our cultural history. Funding and is necessary to save towers from future deterioration and removal. Consider joining the Forest Fire Lookout Association to support preserving North Carolina’s lookouts. 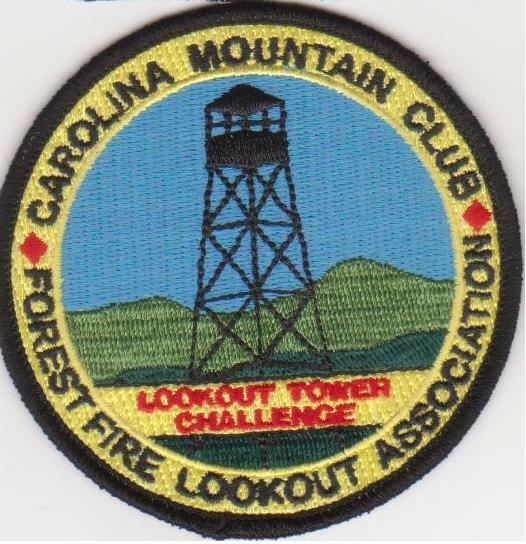 For questions regarding the CMC & FFLA Lookout Tower Challenge, please contact Peter Barr at pjbarr@gmail.com.